The 5th edition of a satellite art event for artists, just a few steps from Art Basel.We are selecting an outstanding conjunction of Contemporary Art (all media) , Design and Video. With this exhibition we are going to reach a wide public in Basel and offer the opportunity to meet the artists in person. The wide offer of Contemporary Art & Design may be as well an opportunity for visitors to find unique and affordable creations of the highest level. We will be open daily from 12 until 22 h.
The artistic research to new experiences and meanings can never be discovered within the known limits of social, mental and geographic structures. If we talk about innovative art or design, the borders of imagination must be crossed in order to discover unedited realities in our own existence. 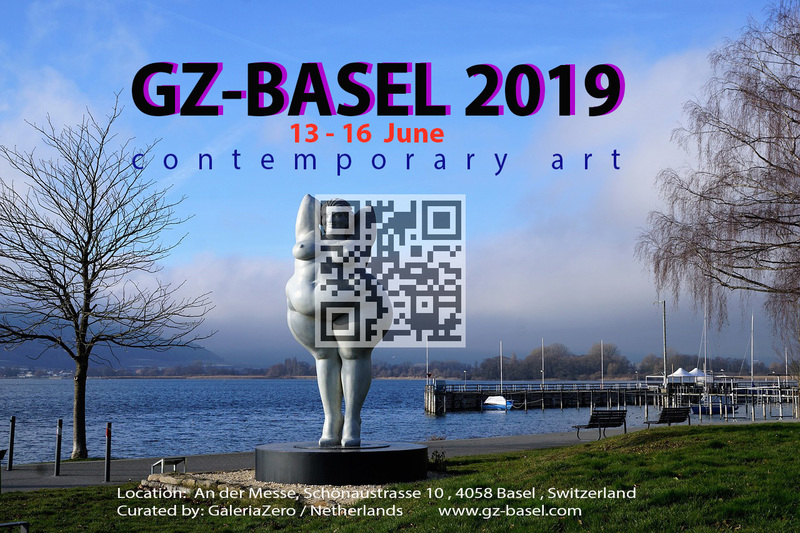 For GZ-BASEL 2019 we are selecting the most innovative Contemporary Art & Design from all over, ready to transmit their meaning to our senses and convince us again about the beauty and quality of life.